Celebrating 27 Years and still growing! 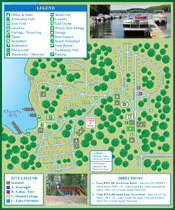 Horseshoe Lake Camp & Cottages, our destination to quiet Family Camping. Located in Muskoka/Georgian Bay Country, Parry Sound, Ontario. 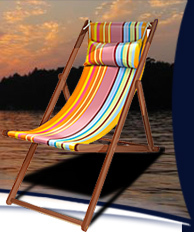 Horseshoe Lake Camp & Cottages provides a natural environment to promote a relaxed family camping atmosphere. 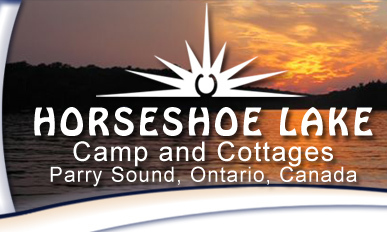 Horseshoe Lake Camp and Cottages has been family owned since 1987. Open all year long for those wishing the peace & tranquility of the North. With 6 housekeeping cottages, Horseshoe Lake Camp & Cottages can accommodate most of your vacation needs. There is a sandy beach for great swimming, many dock spaces for your boat, private fire pits at each cottage and/or campsite. Volleyball, basketball, badminton and horseshoes are here for your use and enjoyment along with canoes, paddle boats and kayaks. At Horseshoe Lake Camp and Cottages you can have the luxury of 2 - 5 bedroom housekeeping cottages, or for the true nature lover, our campsites are spacious ..each with a picnic table and fire pit. If you prefer the privacy of your own trailer, we have seasonal RV sites with electricity, water, and sewer services, 50 & 30 amp services. (subject to availability). Come play on our challenging, picturesque miniature 18-hole golf course ...see if you can get that hole in one. Horseshoe Lake is also known for its bass and pike fishing. All amenities are as close or as far as you need them to be, should you forget something. ..our store is stocked with bread, ice, milk and not so essentials, too. Public telephone, gas, wood and fish bait also available.. Parry Sound is only 25 minutes away.